If you’re looking for something about the size of a car, but a little more rugged and sitting a little higher on the road, you’d do well to look at the compact crossover class. These intrepid vehicles give you a clear view while leaving a relatively small footprint. Lots of manufacturers are vying for your attention with these smaller sport utility vehicles, so let’s put them to the test. In this comparison guide, we’ll pit the 2019 Kia Sportage against the Chevrolet Equinox. Which is better overall? You be the judge. To get the ball rolling, let’s look at price. The sticker is often a dealbreaker, so which crossover is cheaper? 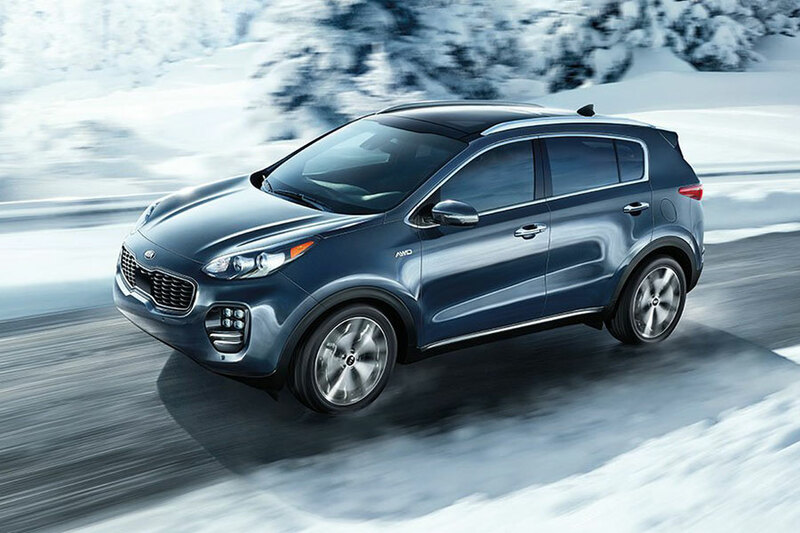 The Kia Sportage starts at the low price of $22,800, putting the Sportage near the same price of some larger sedans. Kia’s price is also about $1,000 lower than that of the Chevy Equinox, which starts at $23,728. The base Sportage gives you standard features like rearview camera, six-speaker audio system, satellite radio, Bluetooth, USB port, and 5-inch touch screen. The base Equinox has the same, but adds features like Teen Driver, Android Auto, Apple CarPlay, Wi-Fi hot spot, and MyLink infotainment system with 7-inch touch screen. Some people will gladly gobble up that tech, but that’s just fluff for other people. We’ll leave it to you to decide. Just bear in mind that you can bring the price and features up to par with the Sportage’s LX Popular Package that adds Android Auto, Apple CarPlay, dual-zone automatic climate control, heated front seats, power-adjustable driver’s seat, and UVO infotainment system with 7-inch touch screen for $1,200. If tech is a must, these SUVs are about even. If not, the Sportage is the better option. You’re probably wondering what kind of engines come with the base Sportage and Equinox. Well, the 2019 Sportage boasts a 181-horsepower four-cylinder engine, mated to an automatic six-speed transmission and front-wheel drive. That’s just the starting point. You can upgrade to all-wheel drive for an extra $1,500 at any trim level. There’s also the 240-horsepower turbocharged four-cylinder, an engine exclusive to the Sportage SX Turbo trim. The Equinox has three engine options, but the base engine has less horsepower than that of the Sportage. The Equinox’s base sports a 170-horsepower turbocharged four-cylinder engine. And then there’s also a 252-horsepower turbo-four and a 137-horsepower turbodiesel. In terms of numbers, the Sportage has this all wrapped up, unless you want to pay more for more horsepower or absolutely prefer a diesel engine. Like our other category comparisons, this one is a squeaker. But the 2019 Sportage edges out the competition yet again. 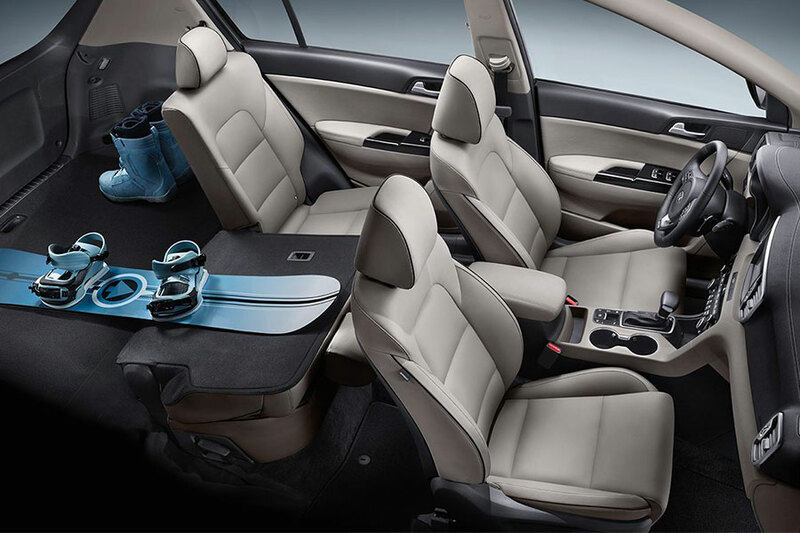 Behind the back seats, the Sportage offers up to 30.7 cubic feet of storage space. Meanwhile, the Equinox offers just 29.9 cubic feet. Why not get the Sportage and throw another couple of grocery bags in the back? 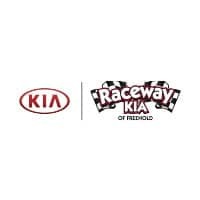 The competition is fierce and each of the three Kia wins are narrow victories. But the Sportage is more affordable and boasts more horsepower and cargo capacity. If these are important to you, the Sportage is an excellent choice.